This tutorial will cover using the urllib module with HTTP APIs (Twitter, in this case), using the json module to parse JSON API responses, and how to make your life easier by using wrapper libraries. Many websites offer what is called an API (“Application Programming Interface”) which lets developers like you integrate with their site and build applications on top of their functionality or data. Often, an API gives you ways to authenticate on behalf of a user so that you can perform actions on their data. Twitter offers an API for both un-authenticated actions, like searching public tweets, and for authenticated actions, like posting and replying. There are hundreds (or thousands) of Twitter clients built by non-Twitter developers that use the API, and these clients often feature a different interface or specialized set of functionality than what Twitter.com offers. In this tutorial, we will use the Twitter API methods that don’t require authentication, for simplicity’s sake. Developers interact with an API by using HTTP. It varies depending on the particular API, but basically, you make an HTTP request (usually GET or POST) to a specified URL, optionally attaching some data, and you parse the response. You should see the JSON response (don’t worry if it looks crazy, we’ll explain it soon). The Twitter search API is an example of an “RPC” API. “RPC” stands for “Remote Procedure Call” and conceptually means that we’re calling a method on another server and passing in arguments. In this case, we’re calling the ‘search’ method on the Twitter server and our argument is the ‘q’ parameter. Now, let’s try to get the same results that we got in the browser using Python. The urllib module gives us functionality to make HTTP requests, so we import it at the top. Then we store the URL in a variable, we use the urlopen method to hit up the URL and the read() method to read the response. For now, we’ll simply print it out to the screen to see if it worked. If it worked, you should see the same thing you saw in the browser. You can also try changing the search URL to see the results change. As you’ve seen, the request to an HTTP API is often just the URL with some query parameters. The response from an API is data and that data can come in various formats, with the most popular being XML and JSON. Many HTTP APIs support multiple response formats, so that developers can choose the one they’re more comfortable parsing. The names are string values, the address is another object with string values, and the phone numbers is an array of string values. created_at: "Thu, 08 Sep 2011 02:27:39 +0000"
text: "#Win Christian Louboutin Sueded Python Pump http://t.co/vr5C6St via @AddThis"
Now let’s parse some data from that response using Python. The json module gives us functionality for parsing JSON into Python data structures. Here, we’re telling the json module to convert the string response, then we’re storing the results array and printing the text of the first result tweet. Run the code - you should see the full results and the tweet at the bottom. If you want, remove the first print statement so you just see the tweet. Run the code, and you should see a bunch of mildly entertaining tweets. Try adding the timestamp to the tweets to see if you understand the JSON response. Now that we are successfully showing Twitter API search results, let’s turn our script into a proper command-line client, so that you can search Twitter from your Terminal all day long! We’ve made two functions - search_twitter takes one argument (falling back to ‘python’ if none is specified) and returns the array of results from Twitter, and print_tweets prints results to the screen, We could do this as one function, but it’s nice to separate functionality from presentation. At the end, we just call these functions, passing the results from the first function as the argument to the second. Try that out and make sure it works. Try sending in a different argument to the search_twitter function and see that it works. Now, let’s make it so we can send in the query argument from the command line. The sys module gives us access to the passed in arguments. That code passes in the first argument to the search_twitter function and prints the results. You’re not the first developer to use the Twitter search API from Python - and it’s a bit silly for every developer to write their own functions for interacting with the API. Most developers use “wrapper libraries” or “client libraries” for interacting with HTTP APIs in their favorite language, and those libraries are either provided by the API provider themselves or by other developers. By using a wrapper library, you can focus on writing the unique part of your app and not fuss over the subtleties of an API. You can remove the import statements for urllib and json, since the Twython library will take care of the URL opening and JSON conversion for us. 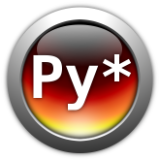 You can use the argparse module if you’re using Python 2.7 or the argparse_ module if you’re using Python 2.6.